Those who frequent Main Street Markham, renowned for its historic buildings and shops, will be drawn to Wycliffe’s new single-family residences. The Wycliffe on the Ravine homes are only steps away from the famous street. The residences were designed by the acclaimed architect John Beresford, who was inspired by the area’s charming architecture. With elegant peaked gables, brick-arch windows and even gingerbread trim, each property is essentially Main Street but in house form. Despite being walking distance from Main Street, the nine-home enclave is in a secluded cul-de-sac setting, so you’ll still get a ton of privacy. It’s the best of both worlds. The exterior design isn’t the only aspect that will catch your attention. The residences also include coffered 10-feet ceilings, natural gas fireplaces and solid oak staircases. Care to fine-tune your cooking skills? Spend the afternoon in the gourmet kitchen with granite countertops, a modern ceramic backsplash and stainless steel appliances. Care to make a few adjustments? Wycliffe will allow buyers to personalize their home with the company’s “made-to-measure” program. This four-appointment program lets you select your favourite features and finishes, and visit the Paris Kitchens showroom. You’ll also be able to customize the electrical layout of your property. The homes range in size up to 5,000 square feet, and prices start at $1.45 million. 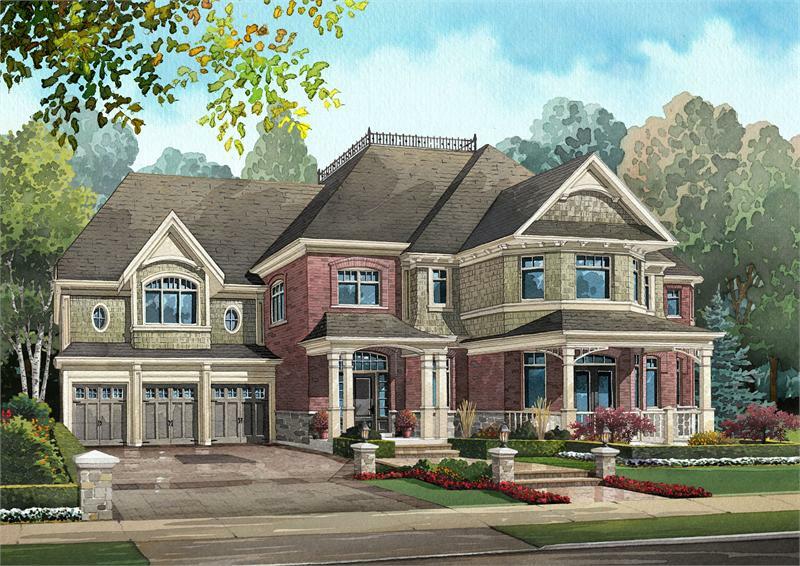 For more information on Wycliffe on the Ravine call 416 989 7460.